How far will Trump go before it’s too late? We need to test the limits. President Donald Trump has already shown that he is comfortable taking drastic measures, foolish measures and basing decisions on false information. But what so many are concerned about, and this is what separates Trump from his Vice-President, is how dangerous he will get. He has the nuclear code. He’s easily peeved. He does not have a good understanding of international relations. He appears to be largely blind to the consequences of his actions. How much longer can we allow him to be in this position? That is the easiest and the quickest way to do it. However, since Trump has hand-picked his cabinet members and many of them seem to be as unprepared for their job as he is, it will require a significant improvement in the wisdom and fortitude of enough Cabinet members to invoke the amendment. The second path, one which may be more democratic but is also lengthy and drawn out, is for the House of Representatives to open impeachment hearings and initiate the process that could lead to a conviction of Trump by the Senate, thus removing Trump from office. It would not be difficult to find “high crimes and misdemeanors” that Trump has committed, beginning with his finances. Many would argue that it would be rash to move ahead with either of these options at this point, and I would agree. However, I would suggest that two steps need to be taken to indicate whether drastic action might be needed in the near future. These two steps are intertwined. Some Republicans are going to have to stand up to Trump. Obviously, neither the 25th Amendment nor impeachment and conviction can occur without Republican involvement. Once some Republicans stand up to Trump, it will be illustrative to see what he does. For example, if there were a handful of Republicans who voted against one of his cabinet nominees, how would Trump respond to that? Would he go on a name-calling tirade? Would he try to cut off federal favors to those senators? Would he try to turn his legion of voters against them? What would he do about submitting a replacement nominee? If we were talking about Secretary of Health and Human Services, would Trump say that there is no one else in the country who could do the job as well as Dr. Tom Price? Would he insist on resubmitting Price’s name for consideration, or would he be able to move on to someone else? Suppose that Republican members of Congress joined with Democrats to pass a law saying that the president could not place a gag order on employees in federal agencies. Or if the House of Representative rescinded its adoption on the Holman Rule which gives the president wide leeway in firing workers in the executive branch, or short of firing, actually reducing their pay down to $1 a year. How big would the Trump tantrum be if Congress went against his will on any of these issues? What would it tell us about his stability, or instability, in situations where Kim Jong-un or Vladimir Putin would rattle his chain? There certainly is good cause for Republicans to immediately stand up against Trump. Senators John McCain and Lindsey Graham have both spoken of the need for the United States to stand strong against Russia. They both have expressed serious concerns about Secretary of State-designate Rex Tillerson’s close ties with Putin. Surely there is someone else in the United States who could be a better Secretary of State than Tillerson. If either of these senators had constructed a “short list” of twenty possible nominees for Secretary of State, they would have had quite a few who were (a) far more capable than Tillerson, and (b) acceptable to Republicans, and perhaps even some Democrats. 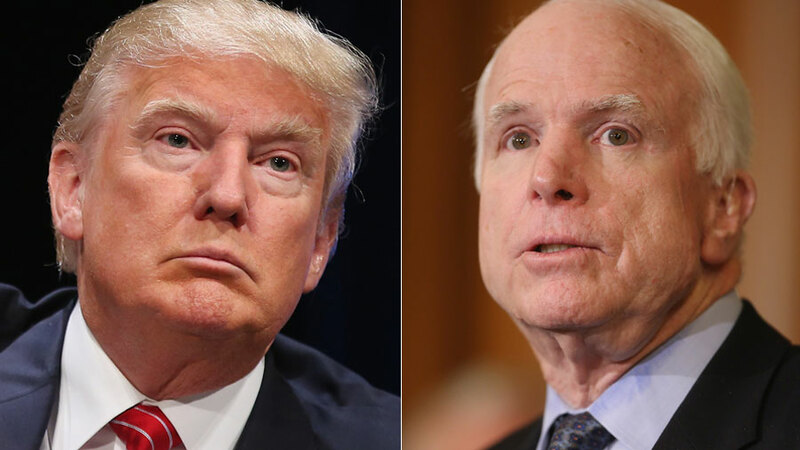 McCain and others have to back Trump to the wall on non-nuclear issues to see how he responds. If he fails those tests, then serious consideration must be given to peaceful means to remove Trump from office.